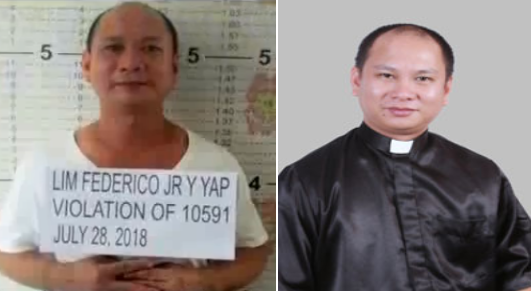 Criminal charges will soon be filed against the Parochial Vicar of Our Lady of Snows Parish of Dumarao, Capiz over attempts of shooting a 19-year old motorcycle driver following an altercation that occurred on July 30, 2018 at 11:30pm at Poblacion Ilaya. The 45 – year old Fr. 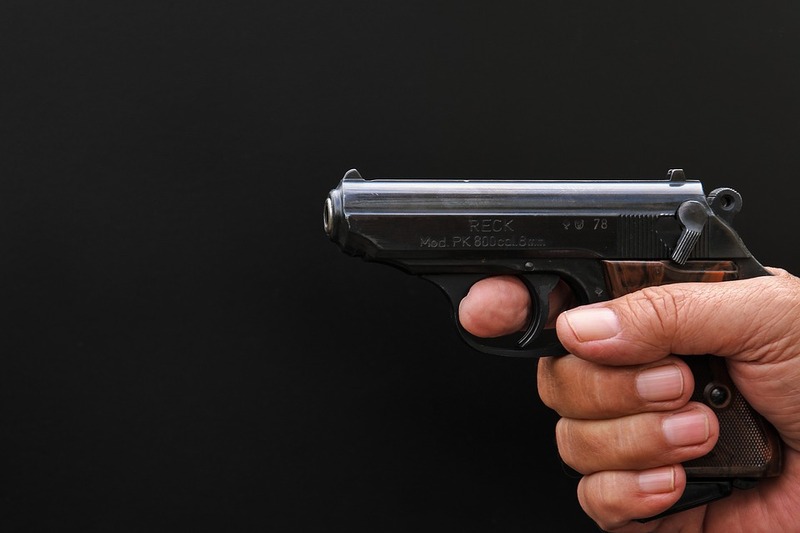 Federico Y. Lim, Jr. was arrested for violating Republic Act 10591 or the Comprehensive Firearms and Ammunition Regulation Act after being accused of shooting at the group of Sarenjay Padernal using his firearm with unrenewed license. Fortunately, Sarenjay, a Grade 12 student and resident of Barangay Bungsuan in Dumarao, remained unharmed. The incident broke out during the height of Dumarao town’s pre – fiesta activities when several motorcycle riders opted to park outside the church’s gate, obstructing Fr. Lim’s vehicle upon entry. Annoyed and allegedly drunk at the time of the incident, Fr. Lim aligned his vehicle to push over 4 motorcycles, including Sarenjay’s until some of them fell to the ground. Upon attending to their motorcycle and learning what happened, the drivers provoked Fr. Lim to come out for confrontation. Someone from the group suddenly threw a rock at the convent’s window, and by hearing the glass shattered, may have threatened Fr. Lim and prompted to fire his gun, as theorized by Police investigators of the Police Regional Office (PRO-6). Dumarao PNP personnel were conducting patrol operations nearby when they heard the gunshot and immediately responded. Law enforcements immediately went to arrest Fr. Lim who was temporarily detained but had to be rushed to the nearest hospital due to fluctuating blood pressure possibly due to the ordeal. Fr. Lim voluntarily surrendered a Caspian 0.45 Caliber Pistol with serial number 8885738 along with 1 magazine containing 6 bullets. PSUPT. Nacion said that Sarenjay decided to drop the charges against the ailing priest but has yet to sign the Affidavit of Non – Interest. Fr. Lim however, may still be held liable for illegal possession of firearm. Meanwhile, the Archdiocese of Capiz expressed its sadness and concern over the gun – firing incident and issued an official statement addressing the Capizeños to offer their prayers to the accused cleric. Social Communications Director Fr. Jose Arturo Emilio Arbatin, Director of the Archdiocese of Capiz said that the Catholic Church is WORRIED with the end result of the case but maintained that the ministry shall respect the legal actions against Fr. Lim. For an indefinite period, the archdiocese designated Fr. Robert Alba as administrator to ensure sustainable operations of Dumarao town’s Our Lady of Snows Parish.